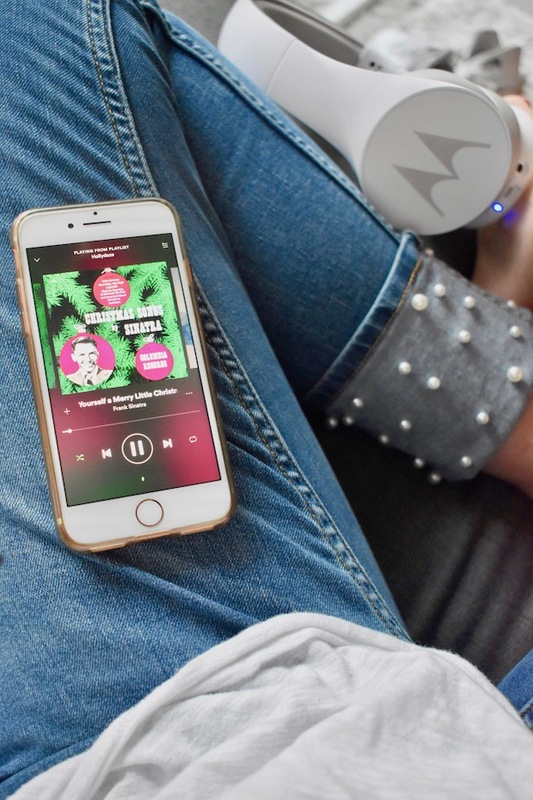 I'm excited to be partnering with Motorola today to share some of my favorite holiday songs on my Christmas playlist! Every year when Thanksgiving passes I immediately break out my Christmas music, and it never fails to instantly put me in the holiday spirit. 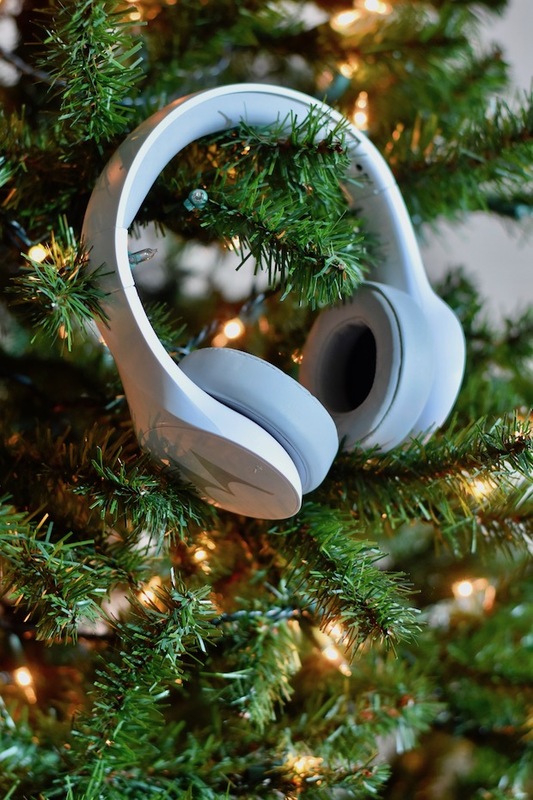 I have quickly fallen in love with the Christmas Classical Piano playlist on Spotify, which could not be more perfect for studying during finals around the holidays, but I'll never grow tired of my classic holiday playlist when I’m just hanging out or blogging, especially. 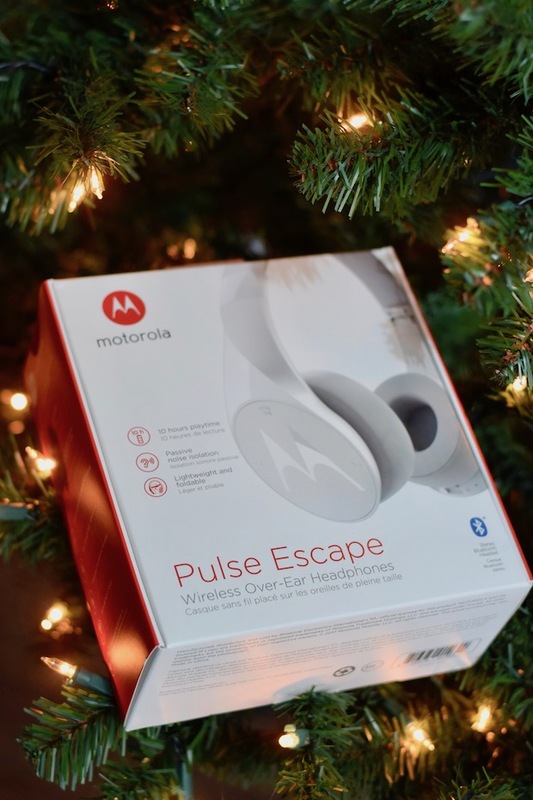 My new favorite way to enjoy Christmas music: my Motorola Pulse Escape headphones. My favorite part about the Motorola Pulse Escape headphones is that they can be used wirelessly (perfect for the gym) or with the cord. Options!! I personally love going sans cord at the gym so my flailing arms on the treadmill don’t knock my phone to the ground, and I usually opt for using the cord when I'm listening to music at the library, so I don't have to worry about the Bluetooth stopping and blasting my music in a silent room. Both have happened before!! But, do note the wireless can play for 10 hours total, so these babies could get you through even the longest of study sessions. They also have a range of 60 feet, so you can walk around without worry. 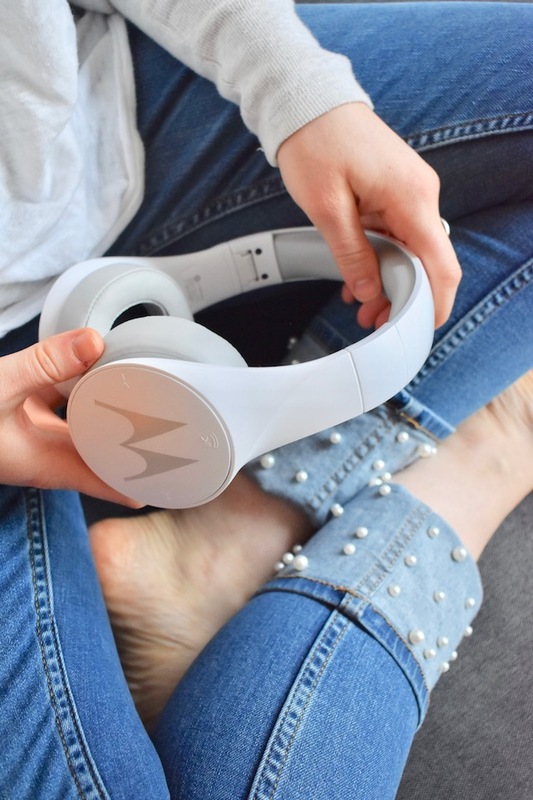 Another one of my favorite aspects of the Motorola Pulse Escape headphones is the built-in microphone (so they work with phone calls), and controls on the ear cups to change the volume, song, or play/pause. In comparison to other headphones I've had like these, I love the extra, easily accessible options. For just $40 these would make a great gift for a techy friend or a sibling or cousin! Bonus: they come in white, black and red to suit everyone’s style. One more thing to mention since I’m flying to Dallas for Christmas, I love that these headphones are really light, compact, and even foldable. It makes it so much easier to toss them in a carry on. I just do not find earbuds comfortable on airplanes whatsoever, and these are lighter than other headphones I’ve tried, so I know they’ll be the perfect in-between option for the plane ride. Without further adieu, here are some of my all time favorite Christmas songs! 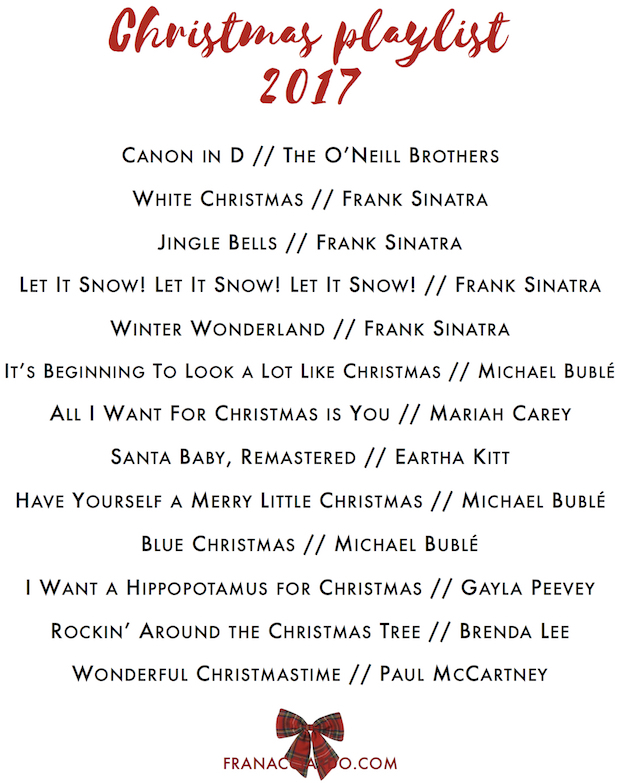 I love any Frank Sinatra or Michael Bublé holiday music, as you’ll clearly be able to tell below. 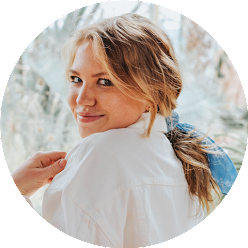 You can also check out the rest of my playlist here! This post is sponsored by Motorola, but all opinions are my own. Thank you for reading, as always! Love your pants! Where are they from?? Thank you! They’re from Zara! I like the headphones very well used.